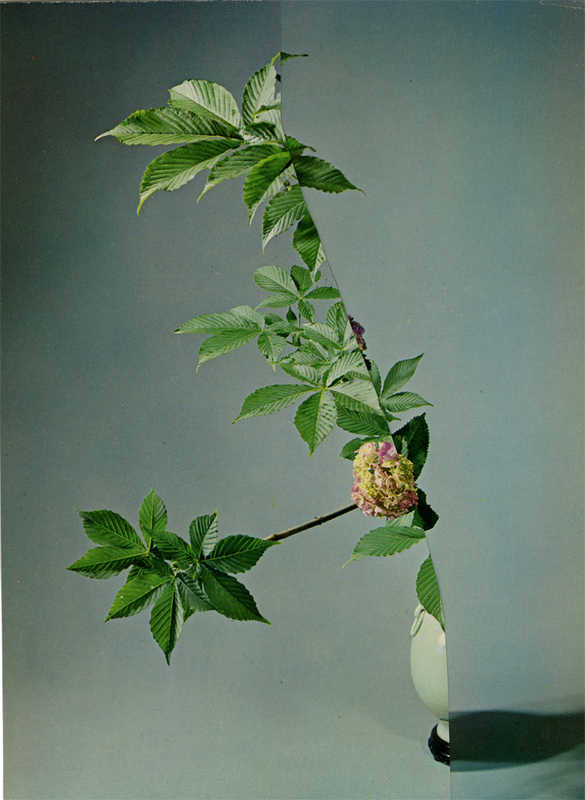 Ikebana, the art of Japanese flower arrangement, with formal display according to strict rules is disrupted and rearranged by collage artist Nicola Kloosterman. 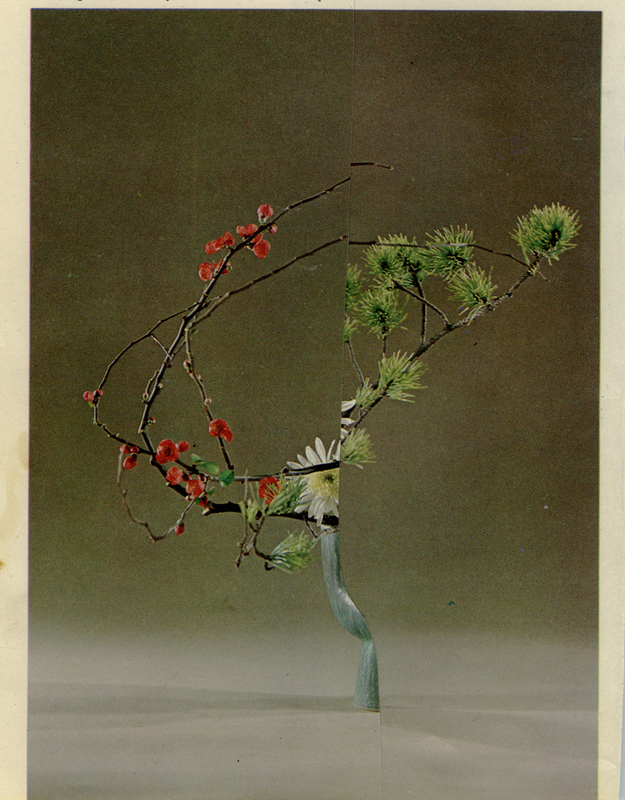 By slicing apart vintage photographs of ikebana arrangements, removing the centers and re-arranging the leftover pieces, the image is freed from the original harness and re-balanced. 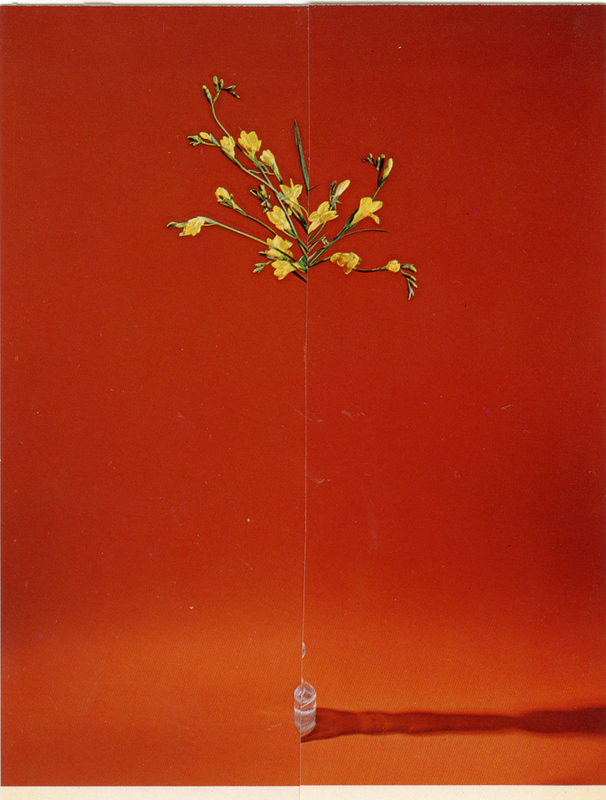 The most catching features of the arrangement are discarded or covered, leaving only a shadow of the original image. In this way, a new image is created with renewed equilibrium, yet its cut lines indicate a core piece has been lost. Nicola Kloosterman (Johannesburg, 1976) is an analog collage artist from the Netherlands who works with found imagery. Her subjects vary from fragmented female figures and faces to florals and abstracts made with found vintage paper and textiles cut from fashion magazines. Her collages explore concepts of (in)visibility, perception and fragility.